Columbia River Northcliffe CR7490. This slim linerlock is the perfect everyday carry for gentlemen. It has a pen style design and measures over 7.5 inches open. 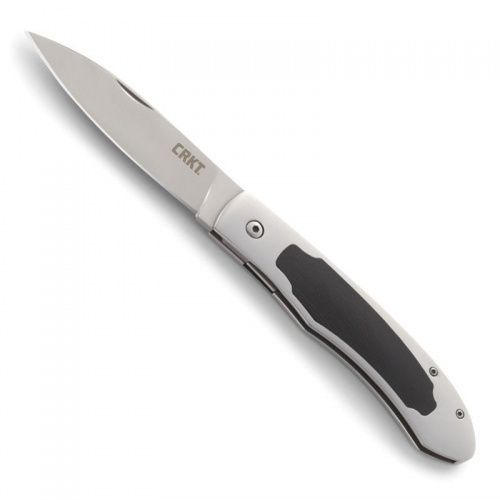 It utilizes a 2.95 inch blade made from 8Cr13MoV stainless steel and has a stainless steel handle with ebony wood inlays. It is a super smooth and comfortable knife and easily drops into your pocket due to no texturing or pocket clip. Do you own Columbia River Northcliffe CR7490? Tell us about it! Have a question? Ask!